Kraai, Jesse. Lisa: A Chess Novel. California: Zugzwang Press, 2013. 234pp. ISBN 978-0976848905. PB $11.99, Kindle $5.99. Let’s start with the unpleasantries. This book desperately needed another round or two with an editor. It’s too long by a third, unnecessarily prolix, and the structure of the narrative needed to be tightened. The fate of the Igor Ivanov character – more on that shortly… – is murky at the end of the book. Worst of all, the main character, the eponymous Lisa, is written to inspire some kind of sympathy or identification amongst readers, but she is rather unlikeable as a person and her character arc is not believable, particularly at its end. There is a certain logic to the arc, in that you can see why she does the things she does, and why she ends up in the place that she does, but the suspension of belief required is just a step too far. You should consider reading this book if you love chess, if you love chess in ways that you can’t always articulate but you feel deep in your fingers as you move the pieces. You should consider reading this book if you have ever loved something beyond words, beyond logic, beyond what others consider normal or wholesome. You should consider reading this book if you have wondered what makes a life worth living, what it means to discover something of intrinsic value and follow it to the ends of the earth. This book is as much about meaning in the face of cultural nihilism as it about chess, and despite its very real flaws, I can recommend it to the philosophers amongst my readers, to chess players searching for a mirror, and to those curious souls who have a devoted servant of Caissa in their lives and would like to understand them a bit better. Thirteen year old Lisa is a girl with behavioral issues, self-absorbed and self-centered. Initially I believed she was somewhere on the autism spectrum, an interpretation supported by certain events in the text; Kraai, however, has (somewhere) written that she was not intended to be so afflicted, which actually makes her less sympathetic. She lives, rather unhappily, with her mother and step-father, neither of whom she particularly likes. After long-standing encouragement and some participation at an after-school chess club, Lisa abruptly decides to play in the North California All-Girls Championship. She wins, and she gets some funding to prepare for the Polgar All-Girls that summer. Lisa searches out Igor Ivanov for tutelage, and her immersion into the world of chess begins. That Kraai resurrects the famed International Master Igor Ivanov to play the role of chess guru is, to put it mildly, interesting. Ivanov was, for many years, known as the strongest International Master in the world. After some notable tournament victories and a win over Karpov, Ivanov lept off a grounded airplane in Canada in 1980 and sought asylum. He then spent the remaining years of his life on the North American tournament circuit, winning hundreds of tournaments and Grand Prix events, many of which while under the influence of drink. His life in Canada and America was, until its final, more placid years, marked by ceaseless travel and struggle to earn his living. Kraai’s Ivanov is exorcised of his demons, living a peaceful life in the Bay Area, raising kale and spouting wise malapropisms worthy of a Zen master. He is, I think, Kraai’s mouthpiece, using Russian-English pidgin and a heavy training hand to impart Kraai’s ideal of chess erudition. Ivanov is portrayed as a man who lived for chess; or, better, who lived for beauty in all of its forms, from the musical to the mathematical to that derived from the 64 squares. His notorious alcoholism is thus some kind of defense mechanism, a way to mute the inevitable disappointment that comes when ideals are sullied by the realities of muddling through. “Ruth Charing” – better known as Ruth Haring, one of many well-known chess personalities in the book covered with only the thinnest of veils – is the strongest of Lisa’s early competitors, but she functions more as the key to the cypher that is Ivanov. Why is he so ascetic? Why does he seem to be, as Lisa believes, training her to be homeless? (Kindle location 32/188) Charing explains Ivanov’s motives in a passage that is available at ChessCafe, and which I partially cite here. “Listen, Lisa: We tell our kids that they should learn, that they should go to school. We tell them that thinking, reading and art are the highest achievements. And we construct palaces for them to pursue these things – a thought palace with the noblest marble floors, wood paneling and vaulted ceilings. But then we say that the palace is not real, we say that it’s only a training ground for the real world. We tell our children not to pursue music in earnest, or painting, or chess. We say they will not be able to earn a living with it. We tell them that they will not be able to become professionals with these arts. Lisa began to cry, for this was the truth she was looking for. This was chess. This is, in its essence, the ‘message’ of Kraai’s book. Our age is dominated by neoliberalism, all the way down to its ontology. What is valuable is what is profitable. If something cannot be commodified, if it cannot be converted into cash value, real or potential, it is unreadable, something not spoken of in polite company. Everything and everyone is a bit of capital, governed by the imperative to go forth and profit. The rub, of course, is that the ‘things’ most valuable – love, beauty, honor, cultural heritage – are precisely those things that cannot abide under this most pernicious form of hyper-capitalism. Tradition gums up the capitalist machine, wedding person to place and preventing the locust-like swarming towards the next site of profit-taking. Love is love of a unique Other, something and someone that cannot be replaced by the next shiny bauble, and without whom a universe collapses into nothingness. Tarrasch once famously said that “chess, like love, like music, has the power to make men happy.” He only had it half-right. The reason chess persists to this day, the reason that it remains the game with the greatest body of literature accrued to it, is that chess harbors within it a spark of the infinite. There are times when, in the play of the game or its study, a player can touch that bit of the infinite. This phenomenon has been widely discussed under the name of “flow” – as it related to chess, see Desjarlais’ Counterplay: An Anthropologist at the Chessboard, 118f – or “being in the zone.” For a basketball player “in the zone,” the basket is the size of a wheelbarrow. For a baseball player, and here I speak from very limited experience, it’s as if time slows down and you can see every spin of the laces before smacking the ball out of the park. This something-intrinsically-valuable at the heart of chess should not be identified with God or any traditional deity. If I read Kraai right, he is (putting it mildly) more than a little skeptical about traditional monotheisms, seeing them as sexist and outdated, unable to respond to the problems of modern living. [Note, however, the association of chess and the study of Talmud at 88/18.] Without the axiological and affective orientation that religion once provided, there is ever less counterweight to the voracious meat-grinder that is Moloch, the capitalist machine. Chess, like love, like music, has the power to orient a world and its values. The chessboard as axis mundi – this is what is at stake in Kraai’s novel. As the story progresses, we see some progress in Lisa’s character and actions. She learns the fine art of prophylaxis – the understanding of someone else’s plans and desires – both on the board and off it. Ivanov’s tutelage, as unorthodox and eventually pseudo-immoral as it is, fractures Lisa’s ego to allow in Otherness. She travels to tournaments in Texas and Greece, meeting new people and broadening her cultural horizons. In the final pages she puts herself through some implausible tests and situations, coming back from her walkabout whole and apparently psychically integrated. (Whether or not that is the case, I leave to the reader. Her self-regard seems overfull to the end.) She comes to terms with her life and her relations, and we imagine her heading off into the world, sustained by chess and bettered by her encounter with it. The romanticism of this lifestyle is thick. Lisa takes leave of the conventions of the normal world, undertaking a quest of sorts and improbably returning embiggened. Ivanov has somehow walked through his “dark tunnels” and discovered a way out, replacing booze with kale and running, but still ‘having a drunk’ with his friends? For the structure of the story, it makes sense; for the rest of us, who don’t live in fiction but in the mundane world, such behaviors would read as self-destructive. The real Ivanov, one would have to suppose, drank for a reason. His lifestyle was not easy or secure. It was one Grayhound trip after another, a succession of nameless crappy tournaments, inferior opponents and a nearly infinite series of games that had to ground out and won. This is not the life of a happy warrior. This is a desperate life, clinging to financial survival, drinking away the sorrow that comes with knowing that survival can require a person to ignore that infinite spark and focus on the here and now. Lisa is, as I have said, a flawed work. It romanticizes dangerous actions and choices. Ivanov just seems to swim off, and I can’t discern exactly what happens to him. Lisa is not the easiest character to sympathize with. And there are structural and editorial issues that should have been dealt with before publication. Still, I’ve tried to make a case for why it should be read, and for what I take to be its ‘argument.’ Let me take one more crack at that argument, and then conclude. In a recent blog post entitled “My Philosophy of Chess,” Kraai considers the usual argument we chess nerds make for kids playing chess; namely, that chess is somehow good for them, that it improves test scores and concentration. (It’s not coincidental, by the way, that we make the same arguments for studying philosophy at the undergraduate level. Kraai, who has a PhD in philosophy, is surely aware of this.) I myself make precisely these points when I’m speaking to general audiences about the great benefits of chess for children. I find myself retreating into the world of chess more and more these days. The schizophrenia and base cruelty of American life right now is almost too much to bear. The helplessness and impotence that many of us feel in the face of the absolute insanity in Washington, the ruthlessness of the oligarchs and our corporate overlords… how does one persist through that? 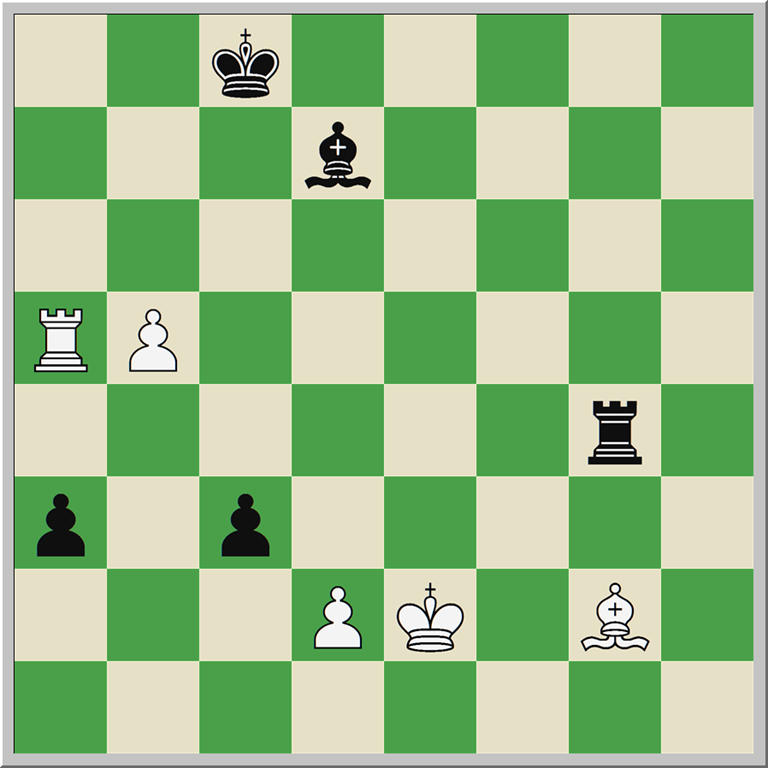 Is chess sufficient for such persistence? Maybe that, in the end, is the real lesson of Kraai’s book. The only way to find out is to walk the path in front of you. Give yourself over to something, to chess, to wood if you’re a woodworker, to serving others, or to solitude. Such giving-over, such self-rending, is not without risk. You might lose yourself, become obsessed, or become shattered. You might get lost in drink. What else to do? If humans are, fundamentally, meaning-oriented creatures, perpetually casting themselves out into a world in search of meaning and value, and if we – as I think is the case – live in a time where all value is overcoded as exchange value, is not the search itself the only imperative left? Readers who prefer the unexamined life should not read this book. Six year olds really should not read this book. Who should read it? Let me put it this way: if your curiousity was piqued by this review, if you found yourself sketched somewhere in these words, you already know the answer. This book shines like a mirror, but only for those who understand anamorphosis. This entry was posted in Fiction, Philosophy and tagged chess fiction, chess novel, Jesse Kraai, Lisa: A Chess Novel on November 18, 2013 by fullcityplus.